South-East Asia is home to one of the most diverse reptile faunas on Earth. 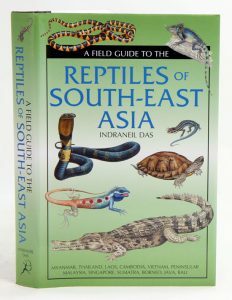 A Field Guide to the Reptiles of South-East Asia is the first comprehensive guide to the snakes, lizards, crocodiles, tortoises and turtles of the region. Covering more than 1000 species and subspecies in thorough detail, this field guide provides authoritative, up-to-date information on identification, habitat, behaviour, subspecies, distribution and status. The informative text explains the behaviour and morphology of reptiles, as well as how to measure and identify species according to scale counts and other anatomical features. South-East Asia is one of the most important ecotourism destinations in the world, with an expanding local market as wildlife conservation assumes greater prominence locally. This guide is essential reading for anyone interested in the wildlife of the region – wildlife enthusiasts, students, conservation planners and specialists alike. For centuries this archipelago served traders and mariners alike, but it wasn’t until the mid 1960s that biological explorations began. Taxonomic keys, descriptions, and colour photographs make the identification of every species in the Seibuat Archipelago easy for both the untrained naturalist and scientist alike. Sections on each species’ natural history and distribution provide users with a means on how to find and observe species they find interesting. Discovery, diversity, and distribution of the amphibians and reptiles of Sulawesi and its offshore islands. Based on an intense and thorough literature study, examination of museum specimens and field expeditions to the Wallacean region. This book will provide an indispensable source of information about Indo-Australian amphibians and reptiles for future research. This is a seminal work for students of Southeast Asian herpetological diversity, biogeography, and systematics. 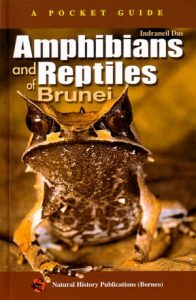 Amphibians and reptiles of Brunei. 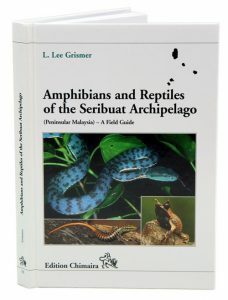 This pocket guide describes and illustrates all amphibians and reptiles that are likely to be seen in Negara Brunei Darussalam. 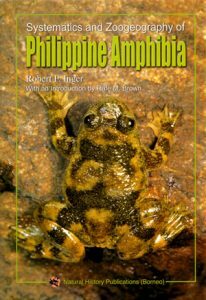 The purpose of this book is to aid quick identification of adult amphibians (the larval stages have been omitted because of insufficient information) and reptiles. At present, 61 frogs and toads, one caecilian, 35 lizards, 72 snakes, three crocodiles and 10 turtles and tortoises are known from Brunei Darussalam. This guide lists a total of 160 of the 182 species of the amphibian and reptiles species recorded from the Sultanate of Negara Brunei Darussalam, Borneo. For every species, a suggested English name, current scientific name and the maximum size attained is provided. The species account contains a brief description, including distinguishing characters and dimorphism, natural history notes and distribution. 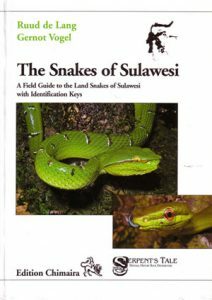 The snakes of Sulawesi: a field guide to the land snakes of Sulawesi with identification keys. Artist/Author: De Lang, Rudd and Gernot Vogel. 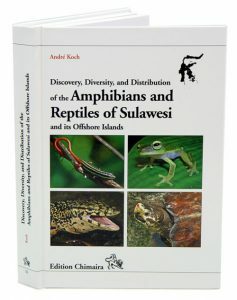 Includes descriptions of distribution (within Sulawesi, Indonesia and the world), scale counts, body form, colouration, habitat, biology, venom and conservation status. Identification keys and scutellation tables enable the user to identify any taxon and the extensive bibliography provides citations to all relevant literature on Sulawesi snakes.